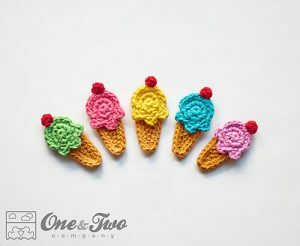 Did you know that today (Sunday, July 17th) is National Ice Cream Day? How cool is that? 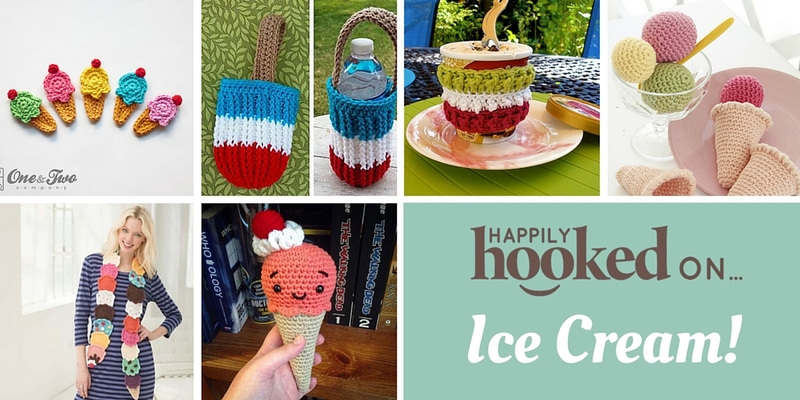 We’ve rounded up 6 delicious, ice-cream themed designs for you to crochet! 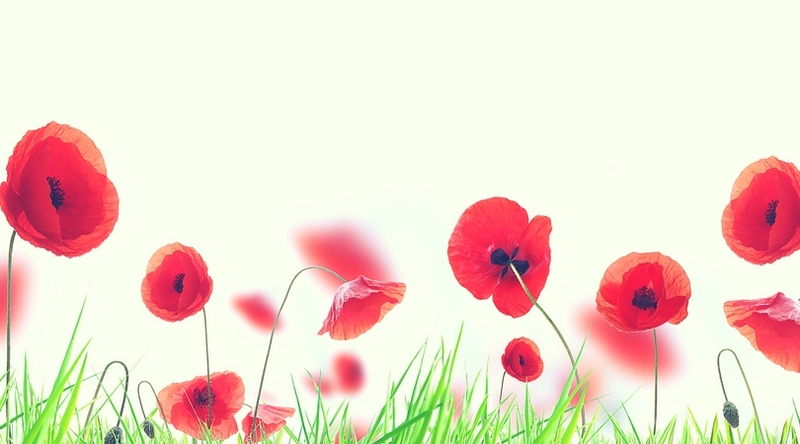 Add these sweet, little appliqués to hats, sweaters, jewelry, or anything you desire. 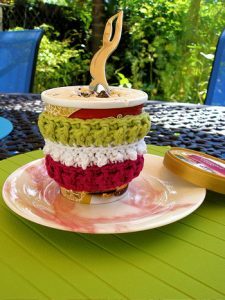 This is a great project for using up some scraps! Get this pattern here. 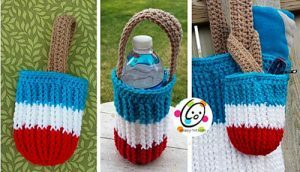 This tiny tote is perfect for a water bottle, cell phone, or for stashing away some goodies for the kids! 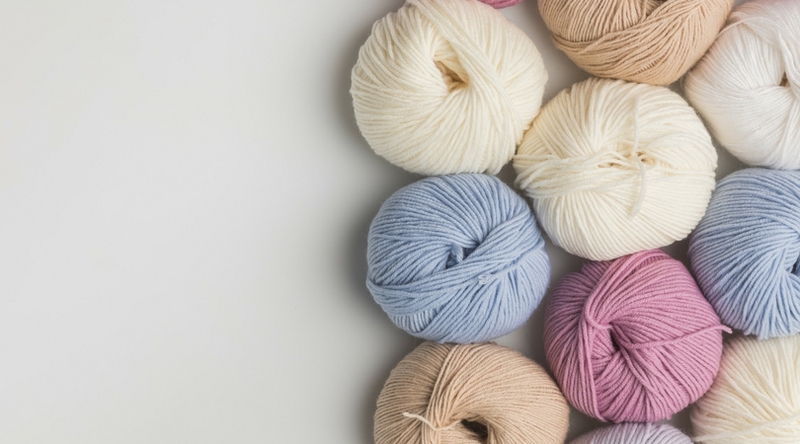 Get this free pattern here. Protect your hands from frosty pints of your favorite ice cream. 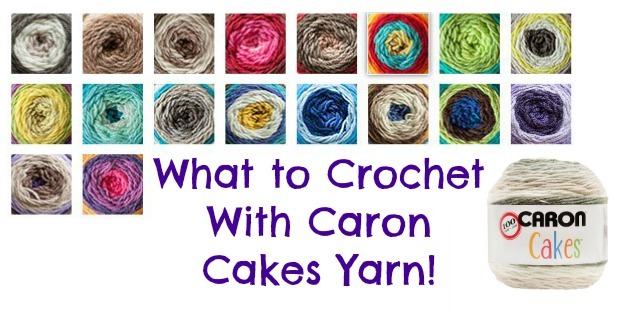 Whip up 2 or 3 of these and store them in your kitchen towel drawer! Get this free pattern here. What a fun idea for little kids! 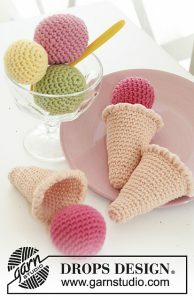 They’ll love playing ice cream shop with all the different “flavors” of ice cream! Get this free pattern here. 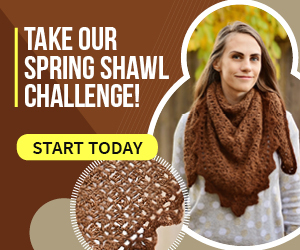 This colorful scarf is whimsical and a great conversation starter! 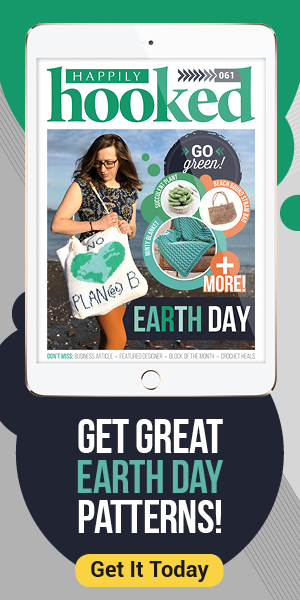 Use up your scraps and create this awesome piece for yourself or a friend! Get this free pattern here. 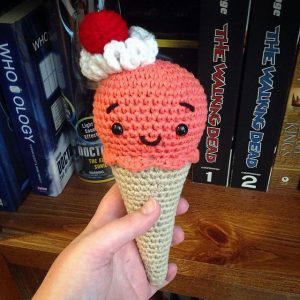 Your little ones will love to hug and play with this soft, sweet amigurumi ice cream cone! Whip one up in his or her favorite flavor. Get this free pattern here.